Today’s Feature Friday spotlights one of our retail partners in North Carolina: Hunter & Coggins Clothing. Hunter & Coggins is a locally owned store in Asheville. The traditional men’s shop carries a solid selection of men’s clothing and accessories. Asheville has received a wide range of national recognition, including “Beer City USA” for its many micro breweries. The city, which has numerous performance venues, has a thriving arts and music culture. The nearby Biltmore Estate is a popular tourist destination. At Dapper Classics, we’re committed to providing you a positive shopping experience. With this in mind, we’ve made our website even more user-friendly. Next time you visit our website from your desktop or tablet, you’ll notice a new look to our Shop page navigation. This improved design allows you to be as detailed as you’d like when shopping. Now you can refine your search by Colors, Fits, Fabrics, and Styles, all at once, to easily locate the specific products you want. You can also curate your search by browsing popular Collections, like “Five to Nine” – if you’re looking for socks for sizes 5-9 – or “Summer Trousers” – if you’re searching for seasonal pants. We’re excited about this new shopping experience because we know it makes it easier for you to find the Made in USA products you desire. Happy shopping and thank you for supporting Dapper Classics and American-made. Today’s Feature Friday spotlights one of our retail partners in South Carolina: Butler’s Fine Clothing. Butler’s opened in Florence in 1993. The shop carries a wide range of menswear – from suits to sports shirts. Butler’s offers closet consultations and in-house tailoring, among other services. Today’s Feature Friday spotlights one of our retail partners in Michigan: Alexander’s Custom Clothiers. Alexander Hamka, a third-generation custom tailor, opened his shop in Northville in 2004. Alexander’s specializes in custom clothing but also offers made-to-measure and off-the-rack menswear. Alexander has fitted men from all over the country, including celebrities such as Dean Cain. Northville is a suburb of Detroit. Northville is known for its rolling hills and picturesque countryside. The city’s downtown, which hosts special events and festivals throughout the year, is a popular community destination. Today’s Feature Friday spotlights one of our retail partners in Louisiana: Pope’s Clothiers. Wade H. Pope opened his business in Shreveport in 1961. Originally a laundry and dry-cleaning destination, Pope gradually added menswear and transformed the business in to a full-service men’s shop. Pope’s Clothiers, now a second-generation family business, carries a wide range of menswear, including everyone’s favorite brands. Shreveport is located in northwest Louisiana. The city, the third-largest in Louisiana, is the commercial capital of the Arkansas, Louisiana, Texas region. Shreveport has been a popular place for filming movies, such as The Guardian and The Great Debaters. The city has also been the birthplace of many notable figures, including Terry Bradshaw (4-time Super Bowl winner), Robert Parish (4-time NBA Champion), and Grammy award-winning country musicians Kix Brooks and Hank Williams, Jr. This year we purchased a new machine that specializes in jacquard designs (like the style pictured above). -In the last year, we demonstrated our continued commitment to American manufacturing by investing in a fourth knitting machine. This new jacquard machine is allowing us to knit a wide variety of patterned socks at the highest possible quality. -Over the last year, we answered the call of many by knitting socks specifically for shoe sizes 5-9. 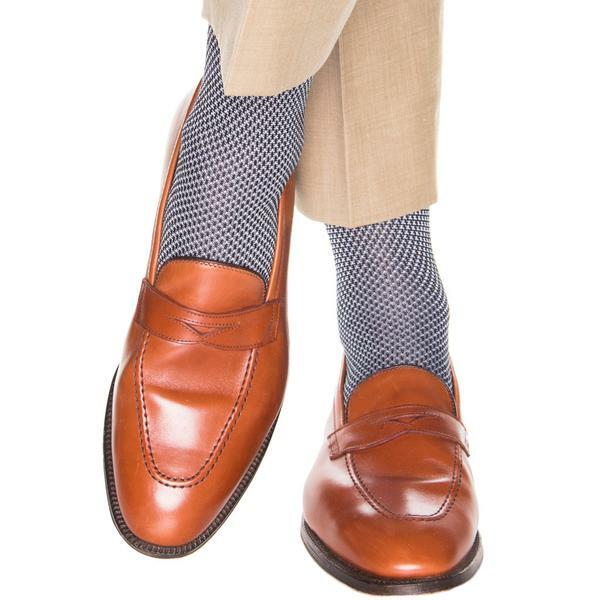 Our Five to Nine Collection will continue to expand so our friends with smaller feet will have plenty of stylish Made in USA socks to choose from. -At this time last year, our socks could be purchased in approximately 160 fine men’s retailers. Now our socks can be found in more than 240 retailers throughout the United States. -This last year witnessed several exciting collaborations: two new horse racing inspired socks for Kentucky for Kentucky and advertising partnerships with two popular menswear blogs: Put This On and The Fine Young Gentleman. -Finally, the Dapper Classics Team expanded in our fifth year in business. We welcomed two inventory specialists/order fillers (Anna and Olivia), a new accountant (Caroline), and more sales professionals.